Stone & Craft Slate Imports has a large assortment of stone step treads. 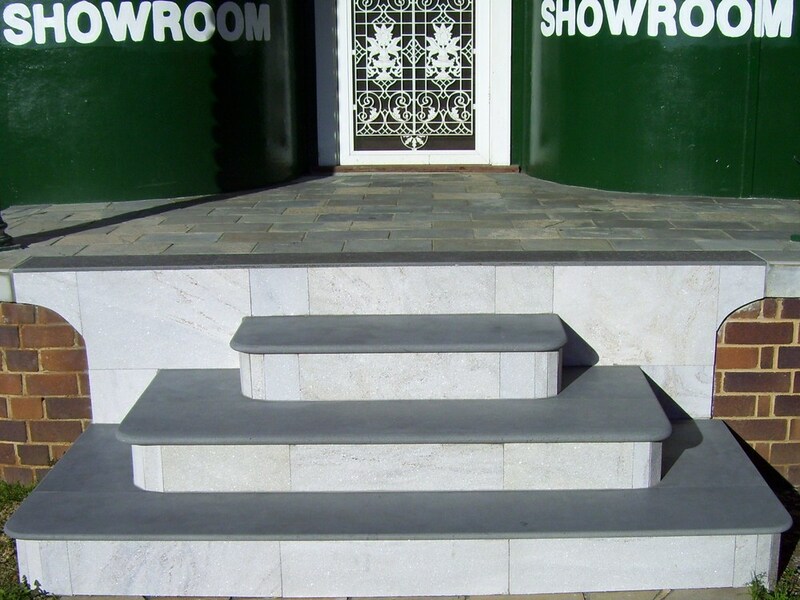 All steps can be customised by our in-store stone mason. 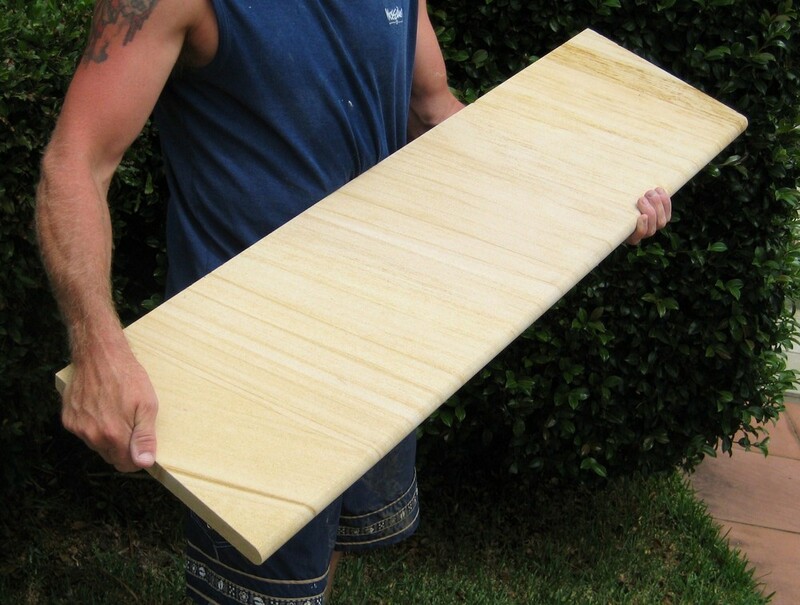 We have services to cut or bullnose the product to match your specific needs. 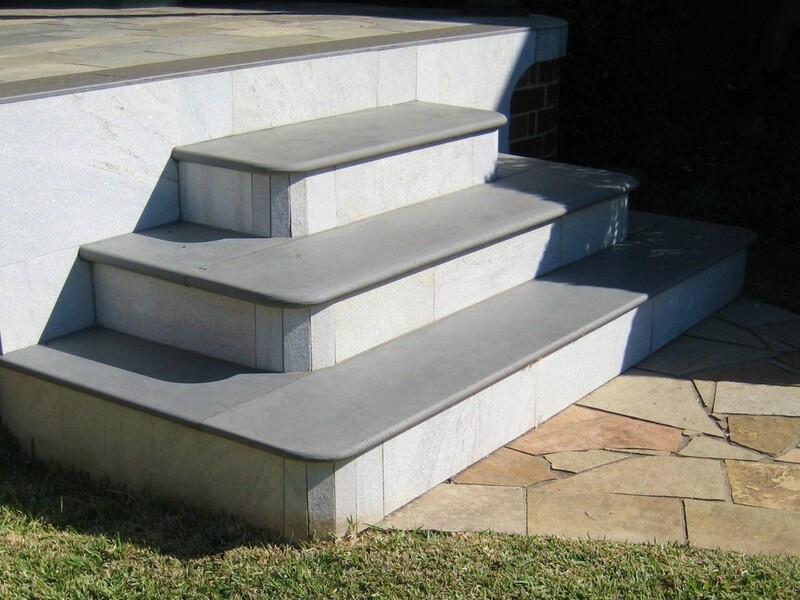 Prices for our bullnosed slate step treads begin at around $100 per linear metre (plus GST). Discounts apply when buying larger quantities, so please contact our showroom for exact prices. 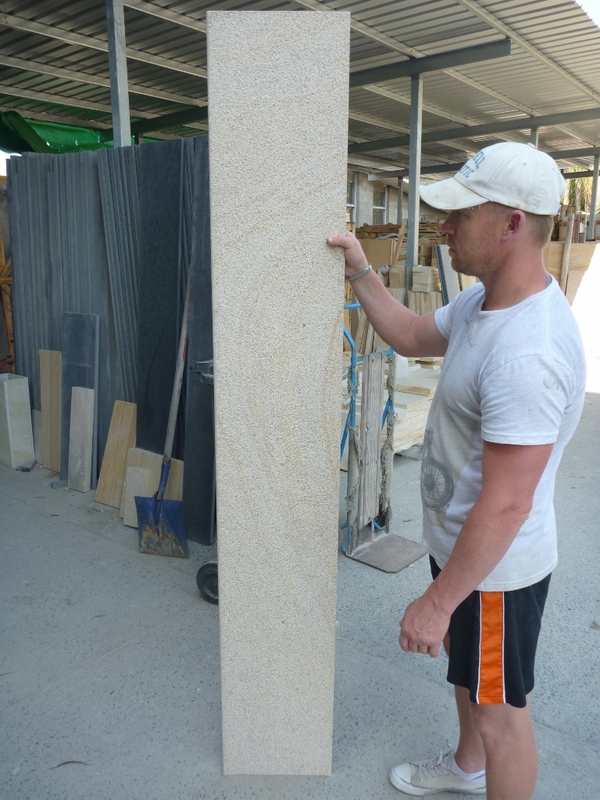 Below are some images of samples from our natural stone step tread range. 2. Mongolian Black stone cut and work out to customer description. 3. 20mm, 30mm and 40mm thick honed Mongolian Black steps are excellent for heritage buildings. It is popular combined with tessellated tiles as patio edging. 4. 20mm, 30mm and 40mm thick honed Mongolian Black steps are excellent for heritage buildings. It is popular combined with tessellated tiles as patio edging. 8. 20mm, 30mm and 40mm thick honed Mongolian Black steps are excellent for heritage buildings. It is popular combined with tessellated tiles as patio edging. 9. Our stonemason bullnosing Mongolian black step thread. 11. Mongolian Black stone cut and polished to customer specifications. 13. Crystallised quartzite steps. Durable and non-slippery surface with low absorption. Available in 20mm and 30mm thicnesses. 14. Crystallised quartzite steps. Durable and non-slippery surface with low absorption. Available in 20mm and 30mm thicnesses. Popular for use as swiming pool capping. 15. Crystallised quartzite steps. Durable and non-slippery surface with low absorption. Available in 20mm and 30mm thicnesses. Popular for use as swimming pool capping. 24. Super tough, not slippery, dense Chinese bushamered goldstone step tiles with bull nose edge. 25. Super tough, not slippery, dense Chinese bushamered goldstone step tiles with bull nose edge.